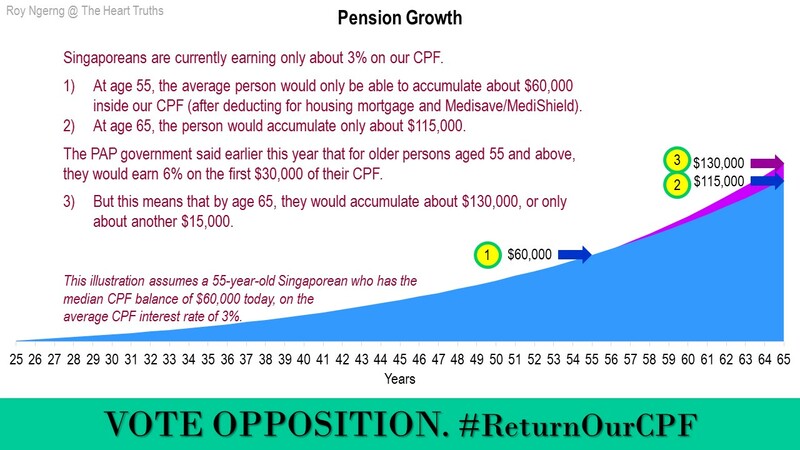 Singaporeans are currently earning only 3% on our CPF. 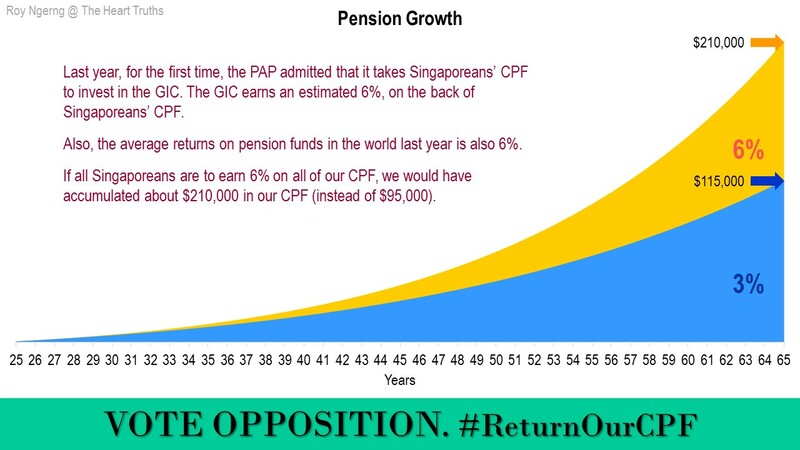 But if we get back the 6% that the PAP takes our CPF to earn in the GIC, we would be able to save about twice as much inside our CPF. Anyone who applies a little logic when discerning your posting above knows you are talking rubbish. 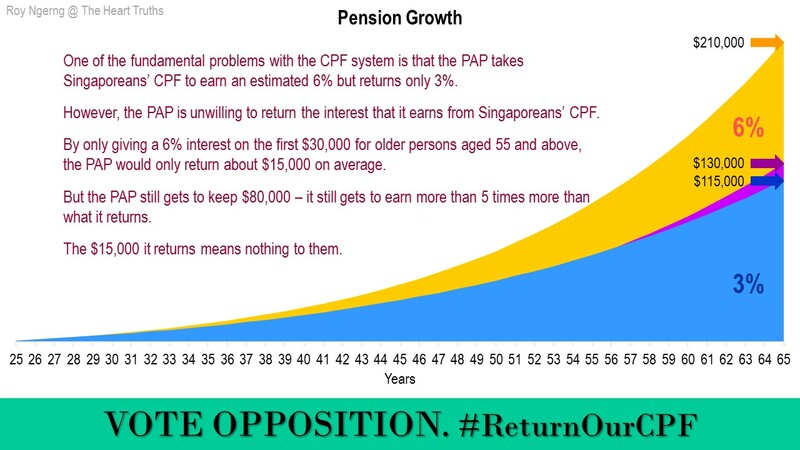 You cite world’s average pension fund of return of 6% and you say cpf will therefore make 6% every year net profit . What kind of stupid logic is this ? Investments are split into different baskets, and they will have different returns, some higher, some lower, some only break even, some make losses. What about those which do not make 6% ? And also, what about the cost of running cpf board, the infrastructure, ICT, and so on, if all the profits are given out to members ? And what about the other ministries like education and defence which needs funding ? Your most basic premise is already totally wrong, and from there you cite how much extra members will get in their account base on this 6%. You might as well quote 20% which some fund investments in the world have achieved. All your postings are totally wrong and devoid of logic, only cook up stories and charts to derive some conclusion to smear the government. No wonder you have totally no credibility at all. Seriously, to win hearts, you have to make sense and have credibility, and you seriously have none. No opposition in Singapore has ever had so little credibility as you, and you have no shame at all. No wonder you are facing your demise which is your own doing now. Yassey, the master piece above from Roy is not meant for you. It’s for those whom he can mislead. Especially it’s near to July, he is making his last struggle, hopefully get some fast cash donation. So don’t bother to comment or reply. He has yet to account for the donated money he took. Action will come soon in July. Just see! 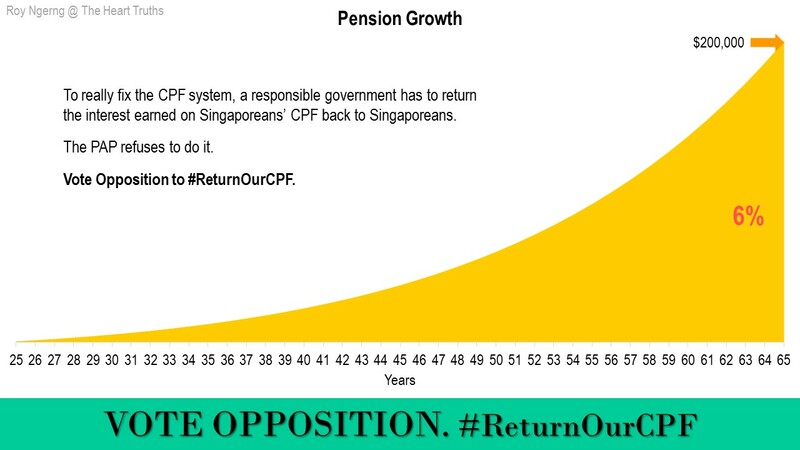 Whether it is rubbish or not, it was Roy’s efforts that CPF was twitched a bit to give Singaporeans some breathing space on their CPF money. Roy is calling for transparency and accountability in the management of such mammoth funds. Saturday s ST in an article entitled “Trust the people, share government data” is in the vein as Roy’s. As it is Roy has to scour the peripheral and grab whatever issues he can. You think that’s easy. Vote opposition? What if they are duds like the incumbent? Sorry, not what if but all have sinned. 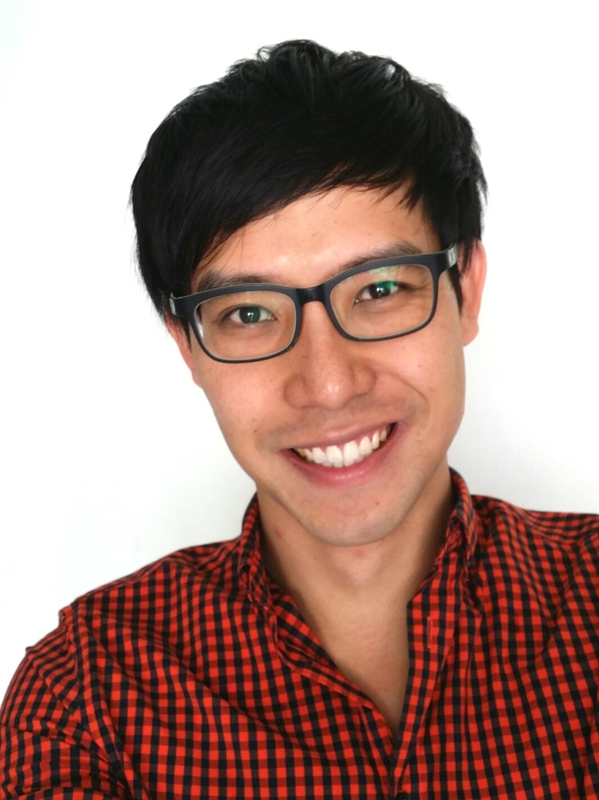 You are beginning to get much attention from Singaporeans living in Australia. Many will be returning after completing their studies and they all agree that PAP has to go. And it’s thanks mostly to you. You are fighting the goliath and, slowly but surely, you are winning. Yes, Hardeep, We will win. Malaysian don’t have the best brains and don’t claim to be first world but their EPF still pays 6.75% last year and their people sees their polyclinic doctor for MR1.00. We have the highest paid self rewarding ministers who took our cpf and paid derisory interest to the people while raising the costs of every essential services n basic necessity without a minimum wage for our workers, while taking in hundreds of thousands of 3rd world workers to suppress our pay. We have a government who takes care of every citizens in the world except their own, of course not including their own cronies. Our government puts fear in the people instead of protecting their own people. Well, it is time to change our government. It is time for those who are forced out of your own home to return and fight the coming battle. Singapore belongs to Singaporeans and not the familee’s private property. 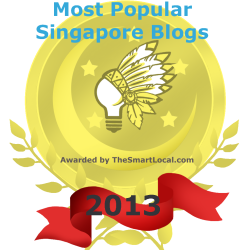 All Singaporeans have a right to this little red dot if we stay united. The government should fear the people as they are paid to take care of them and not for the people to fear the government! Stop giving away your power to the govt and start taking back your power! Hardeep Saini, Tell the PRs in Australia to unite and return to fight this coming election expected in mid Oct 15. Get ready my dear friends. Come back and protect your home and your people! LKY is dead! Soon his son too. Obviously you have very poor knowledge. Countries that pay high interest are those which are facing high inflation and high currency devaluation. This is to make up for the lose of value of the currency. Some south America and Africa countries their government and bank interest rates are 40%, because each year their currency depreciates by that much. What’s new, Roy’s few supporters totally void of reasoning and knowledge. These are the losers who will always remain as losers. Yes Har-deep Roy has really screwed your mind deep deep. Keep dreaming. Roy, Russia’s interest rate is 11%! Their deposit rate is higher than 11%. That means if we invest our CPF monies in simple vanilla Russian bank deposits, we can earn more than 4 times of 3%!!! Your analysis is totally wrong. Why stop at 6% of those lousy pensions around the world? We should aim for at least 11% like in Russia. 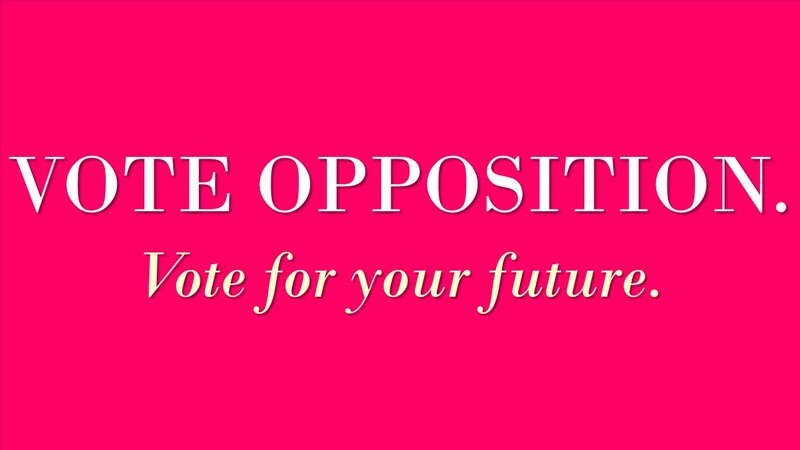 Let’s vote for opposition. 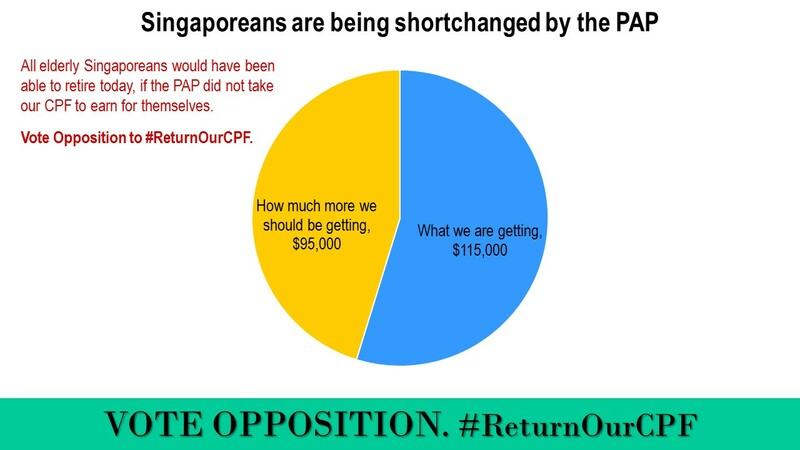 The opposition will bring 11% interest rates to Singapore! Anyway Roy is going to be bankrupted soon, jobless and useless for the rest of his life. Very soon, he will vanish and his blogs all gone, and his supporters saying well done Roy. Just a handful of them in Singapore, out of five over million. All other forums people are laughing at him and the HHH and looney tunes figures who are sooo cartoonish and childish, supporting this shameless gay whose parents even despise him. Go Roy go ! lol. Ah Roy, learn some parables to reach out to more people.